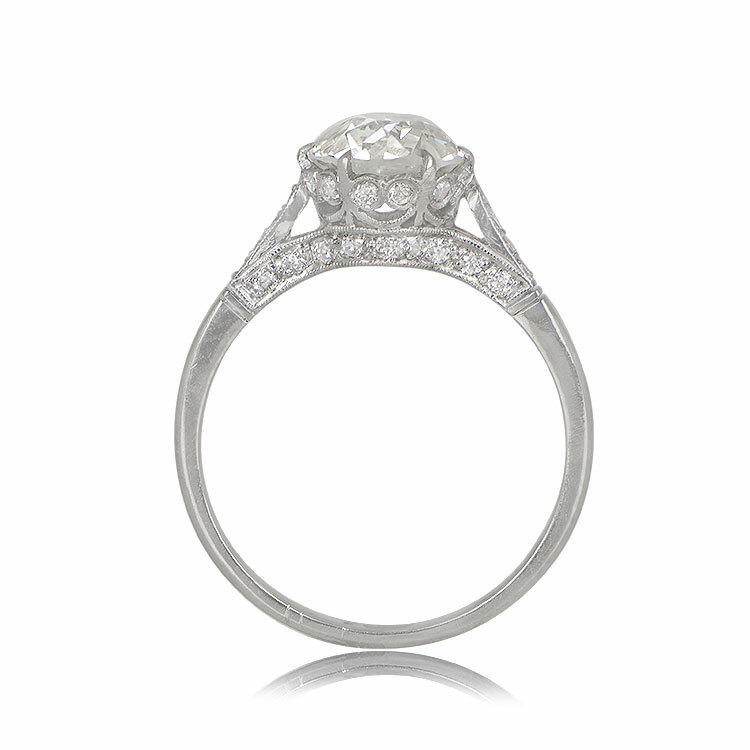 A beautifully handcrafted crown mounting featuring a stunning and lively 1.62 carats old European cut diamond. The detailed openwork filigree along the platinum gallery is studded with diamonds. 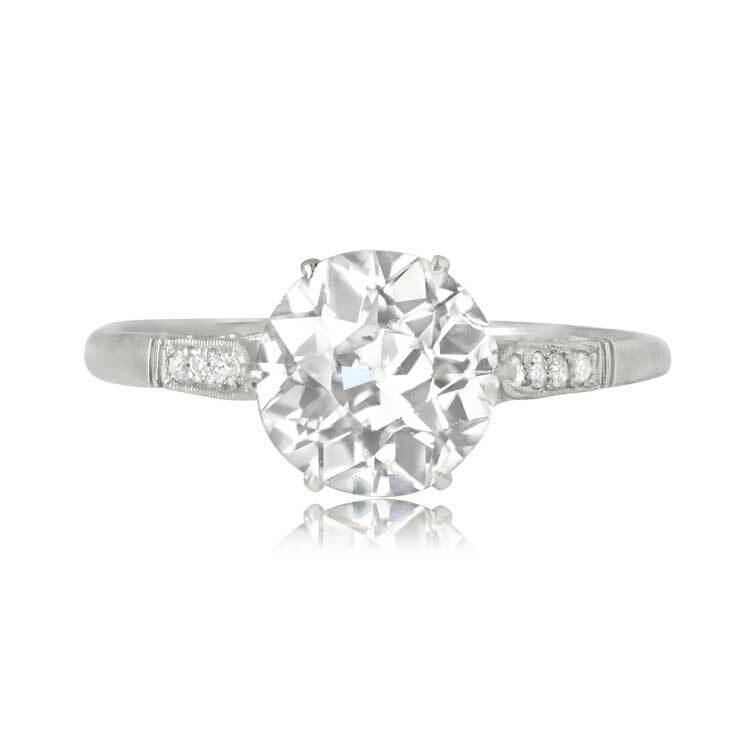 A row of diamonds under the gallery and along the shoulders add to the delicacy of this ring. 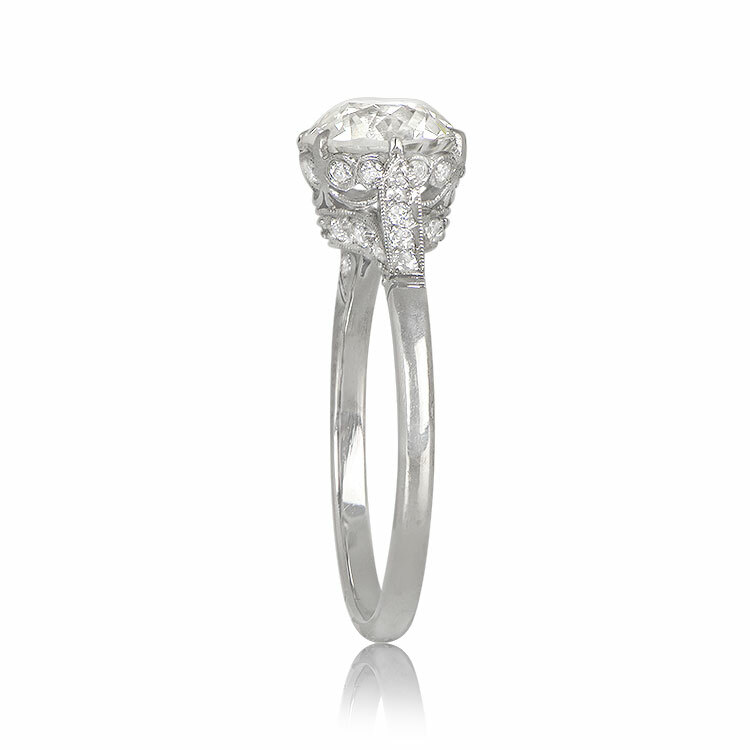 This ring is certified by GAL and the center diamond is 1.62 carats, J color, and VS2 clarity. 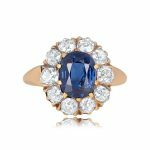 If you have any questions about the Howell ring, please feel free to contact us. 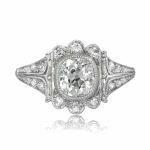 SKU: 12309 Categories: Old European Engagement Rings, Vintage Engagement Rings - Contact us and request additional pictures.